Hanoi (VNA) - Vietnamese shares rose for a second day on both local markets on August 24, driven by bank stocks on expectations that a new draft circular would help local banks operate more efficiently. The benchmark VN Index on the Ho Chi Minh Stock Exchange advanced 0.49 percent to close at 769.77 points, extending its gains for a second session with total growth of 1.1 percent. The HNX Index on the Hanoi Stock Exchange increased by nearly 1 percent to end at 102.28 points. It was up 0.4 percent on August 23. 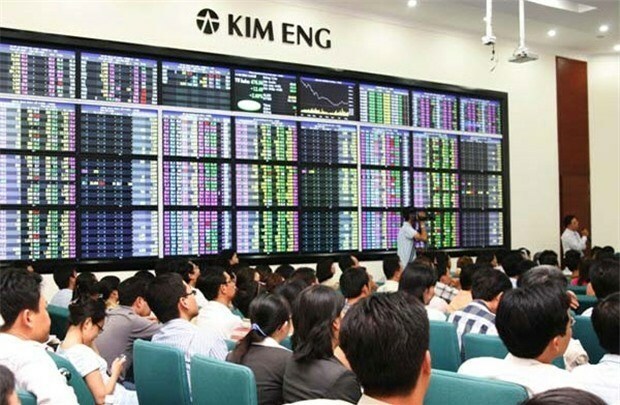 Nearly 269.4 million shares were traded across the two local exchanges, worth 4.14 trillion VND (184.2 million USD). August 24’s trading figures were higher than the previous session’s numbers by 39 percent in volume and 31 percent in value. The stock market trading sentiment was positive with 239 gaining stocks on both local bourses compared to 215 declining ones. Two-thirds of the 30 largest companies by market capitalisation in the VN30 Index advanced, including Thanh Thanh Cong Tay Ninh Sugar JSC (SBT), Mobile World Corp (MWG), information technology group FPT (FPT) and FLC Faros Construction (ROS). Among 13 of the 20 sectors on the stock market that saw share prices increase, the banking sector index posted a 1.7 percent increase, led by Asia Commercial Bank (ACB), MBBank (MBB) and Vietinbank (CTG). Positive growth of bank stocks was attributed to a draft circular of the State Bank of Vietnam to amend and supplement the Circular 36/2014/TT-NHNN, which was issued in late 2014 to make sure local banks operate more efficiently and safely, according to Bao Viet Securities Company (BVSC). Circular 36 was amended and supplemented by Circular 06/2016/TT-NHNN in May 2016 to reduce the maximum ratio of short-term funds used for medium and long-term loans from 60 percent in 2016 to 40 percent in 2018. Under the newly-proposed draft circular, local banks would be able to reduce their maximum ratio of short-term funds used for medium- and long-term loans to 40 percent in 2019. The new schedule could be two years behind the previous target set by Circular 06. BVSC said in its daily report that the proposed draft circular showed the intention of the central bank to help local banks have more time to revise their short-term capital mobilising policies and re-direct short-term loans from being used for medium- and long-term financing.